With 3D printing we can create objects never seen before, but also reinvent "old" things we don't like and use anymore. 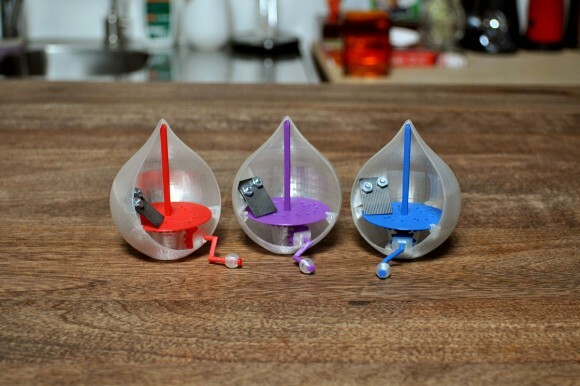 Take the music box, once so popular and now just a curiosity for aficionados: english creative agency Left Field Labs revised music box design to make it suitable for 3D printing. And adding to it an high degree of personalizzation, a crucial element of Makers' philosophy: now everyone can design his/her own music box with a specific melody. Left Field Labs examined some music boxes and discovered that it's impossibile to replicate their inner working exactly with 3D printing. In traditional boxes, a metallic spindle covered with small nubs rotates in front of a tuned metal comb: when a comb's tooth is hit by a nub, it emits a specific sound and all these notes generate, together, the repeating tune of that music box. A music box can't work without a metal comb, but a 3D-printed plastic spindle would be gradually ruined by its teeth. The solution: abandoning the old spindle approach and using a plastic disc which is not exaclty in front of the comb, to have less friction. 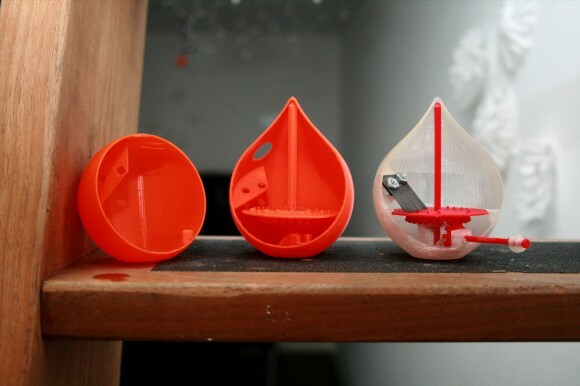 Left Field Labs' carillon adopted a drop-shaped plastic case (hence the name Music Drop), which is 3D-printed itself. The shape lets music resonate better and it's left partially open to show how the carillon works.